Small (10-20gr. & +/-1-1/8") - 1pc. Medium (20-30gr. & +/-1-1/4") - 1pc. Large (30-40gr. & +/-1-3/8") - 1pc. XL (40-50gr. & +/-1-1/2") - 1pc. Carved Shree Yantra (India) - We are delighted to offer these Carved Shree Yantras from India. Shree Yantra (also Sri Yantra, Shri Yantra) is an ancient geometrical pattern used in Tibet and India for centuries to bring about peace, harmony, good luck and prosperity. Shree (Sri, Shri) means “wealth” and Yantra means “instrument or tool” in Sanskrit; hence, the Shree Yantra is an instrument of wealth and abundance. 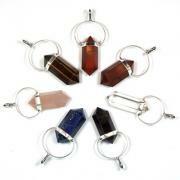 Shree Yantras in 3-dimensional, crystal forms are composed of 9 intertwining triangles that form a pyramid. Four of the triangles point upwards, representing Shiva or the Masculine, and five point downwards, representing Shakti or the Feminine. Together they represent the union of Masculine and Feminine. The nine triangles are interlaced in such a way as to form 43 smaller triangles in a web symbolic of the entire cosmos, a lotus of eight petals, a lotus of sixteen petals, and an earth square resembling a temple with four doors surround this. 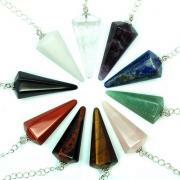 It is also a symbol of radiant white light energy; the crystal acts as a catalyst and a conductor of energy. It can be used to cleanse the atmosphere of large areas - our homes or places of work, our own personal healer for the body, as well as transformer for the spirit. It helps our intuitive insight, to see the light in the darkness. 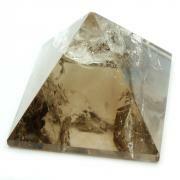 When laid on the body, the Crystal Shree Yantra can dissolve the blocks that impede the flow of energy. 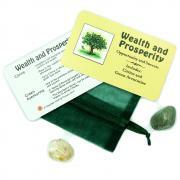 Quartz crystal Shree Yantras can also be used in Feng Shui practices – place one in the “wealth” corner of your home – as well as for everyday use. 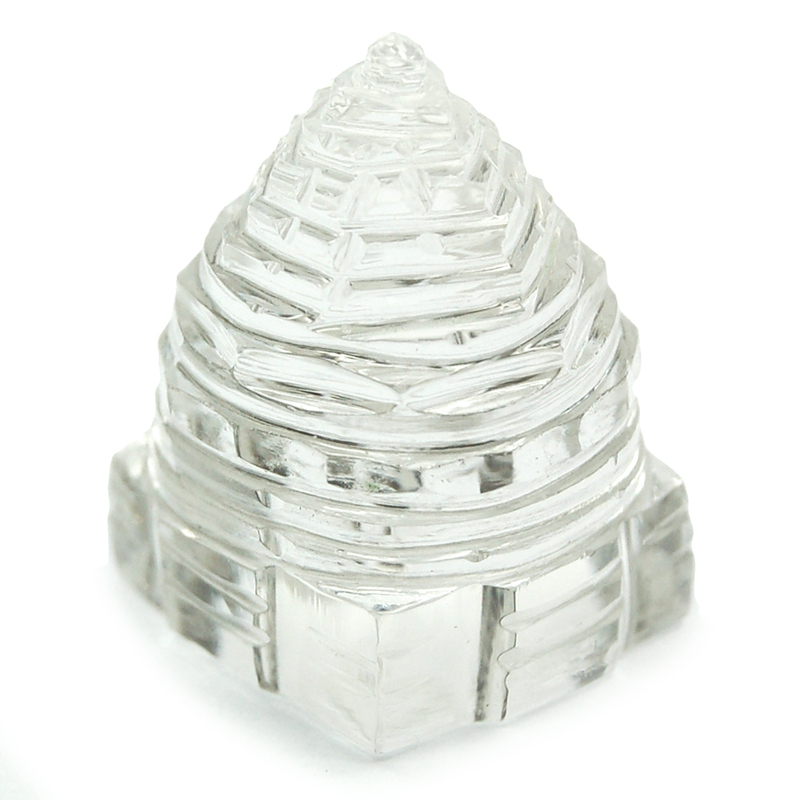 Place a Shree Yantra crystal pyramid in your home or office to enhance prosperity and abundance. To cleanse, wash the crystal in salt water and rinse. Lighting a candle/incense nearby on a regular basis is thought to enhance the crystal's properties.